Ryan M. Prendergast B.A., LL.B. 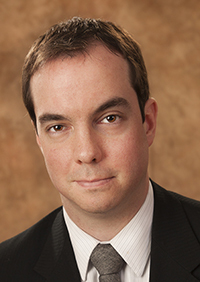 Ryan was called to the Ontario Bar in 2010 and joined Carters as an associate lawyer, becoming a partner in 2018 with a practice focus of providing corporate and tax advice to charities and non-profit organizations concerning incorporation, ongoing corporate compliance, anti-spam compliance, registration of charities, audits and internal appeals with Canada Revenue Agency, as well as the amalgamation and merger of charities. Ryan graduated from the University of Ottawa, Faculty of Law, in 2009. Prior to attending law school, Ryan graduated from Glendon College at York University, First Class, with a B.A. in History and a Certificate in Law and Social Thought. During his articles with Carters, Ryan acquired experience in the areas of charity and not- for-profit law, corporate/commercial law, civil litigation, wills and estates, and human rights law. Ryan has co-authored papers for Law Society of Ontario, and has written articles for The Lawyers Weekly, Hilborn:ECS eNews, and the Ontario Bar Association Charity & Not-for-Profit Law Section Newsletter, and has contributed to several Charity Law Bulletins and other publications on www.charitylaw.ca. Ryan has been a regular presenter at the annual Church & Charity Law™ Seminar, Healthcare Philanthropy: Check-Up, Ontario Bar Association and Imagine Canada Sector Source.